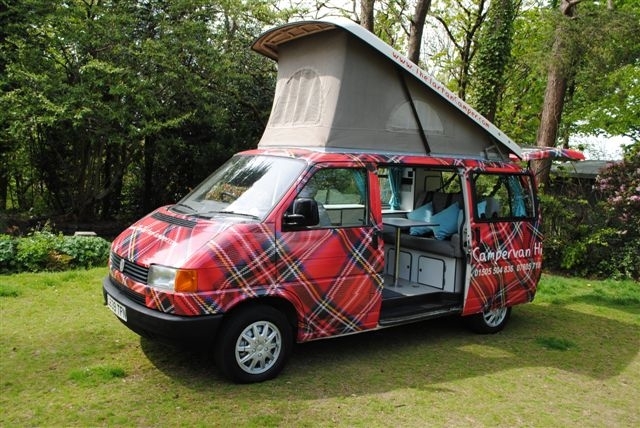 If you’re looking for Campervan Hire in Scotland, you’ve come to the right place for a fun and affordable Tartan Campervan holiday or short break in Scotland and the UK. 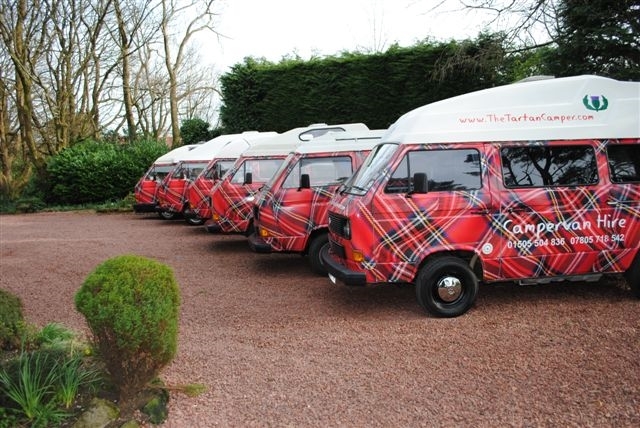 A very warm Scottish welcome from the Tartan Camper Co. 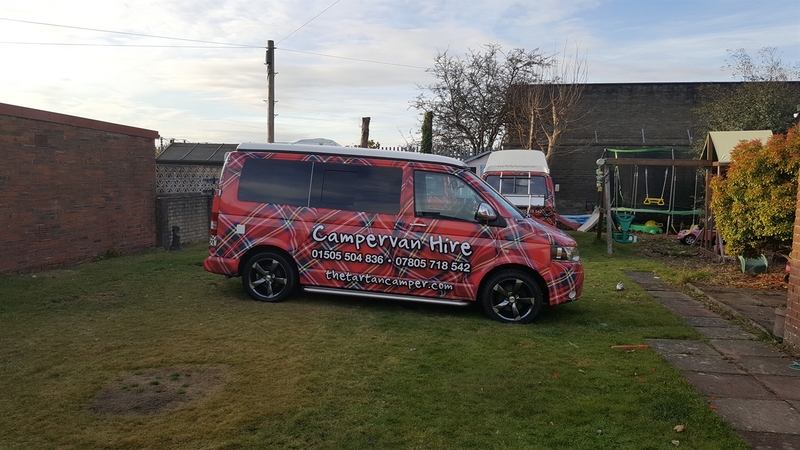 Located only 35 minutes from Glasgow International Airport, We are a family run company who offer economy campervan hire with a friendly, personalised customer service for holidays and short breaks in Scotland and the UK. Campervan rental gives you the opportunity to create your own personal touring holiday. Whether you are interested in festivals, climbing, skiing, hill walking, cycling, golf, fishing or simply chilling in the countryside, it can all be done in a classic VW Tartan Camper. All you need is a passion to explore our beautiful country with its magnificent mountain ranges, to the dramatic rugged coastline, miles of unspoiled sandy beaches and breath taking island landscapes. 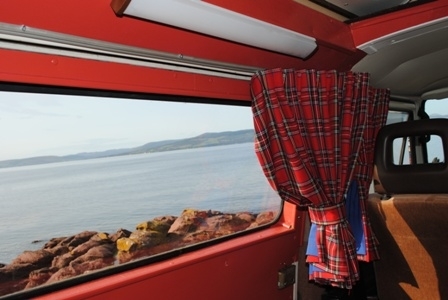 If you are planning a holiday in Scotland, a Tartan camper will provide you with flexibility and freedom to explore the beautiful Lochs and Glens. Our fleet of VW T25s are the ideal vehicles to negotiate challenging roads, car parks and high streets that more cumbersome motor homes will struggle with. 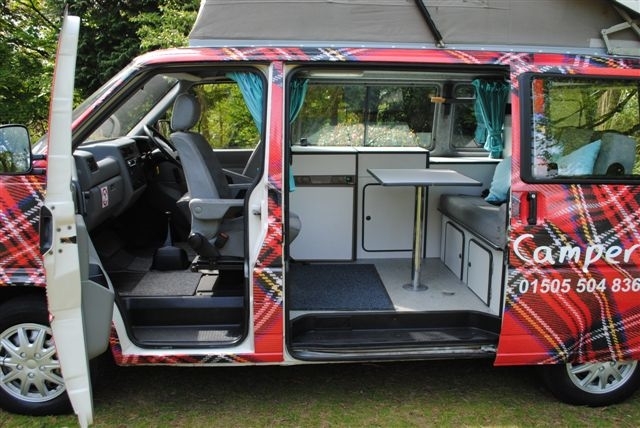 Our VW tartan campers provide you the freedom to do what you want, when you want.